Former judges, IPS officers, jurists, scientists and businessmen – a list that includes Justice PB Sawant and Julio Ribeiro -- has appealed to the Chief Justice and other Judges of the Supreme Court of India that they take suo motu cognizance on the issue of “alarming and threatening statements” allegedly by those in powerful constitutional positions within the Union government or associated with it. Particularly calling the speech made by Ram Shankar Katheriya, Union minister of state (MOS) for human resources development (MHRD) in Agra, as “brazen”, the representation includes references to other shocking instances of “hate speech” from ministers and elected representatives of the present government at the Centre. Stating that India was being “pushed to the brink by such statements”, the signatories have urged that the Supreme Court set up a permanent commission to “monitor and oversee” all such meetings happening to prevent a situation of hate driven provocation and attacks on marginalised sections. The signatories have pointed towards how, in the presence of a minister of state in the central government and a member of parliament of the ruling party, Muslims were equated to “demons” and “descendants of Ravana”, and were warned of a “final battle”. Speakers reportedly urged Hindus to “corner Muslims and destroy the demons (rakshas)”, while declaring that “all preparations” had been made to effect “badla (revenge)” before the 13th-day death rituals for Mahaur. “Human skulls would be offered to his martyrdom,” VHP district secretary Ashok Lavania, who has been jailed earlier for assaults on Muslims, reportedly said. 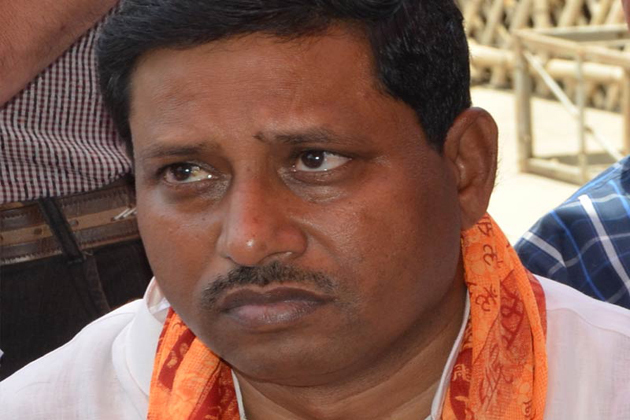 Talking about the coming Assembly elections in Uttar Pradesh, BJP MLA Jagan Prasad Garg reportedly told the crowd, “You will have to fire bullets, you will have to take up rifles, you will have to wield knives. Elections are approaching in 2017, begin showing your strength from now onwards.” The 5,000-odd crowd chanted slogans such as “Any Hindu whose blood does not boil isn’t Hindu enough”. “The fundamental rights of the people under Article 14, 19, 21 and 25 of the Indian Constitution need to be protected. The letter urges that the Supreme to take suo motu notice of this and issues strict directions that protect the fundamental rights of all Indians”, the representation said. Apart from Justice Sawant, former judge of the Supreme Court and chairperson, Press Council of India, and Ribeiro, former director general of police, Punjab, the representation has been signed by Justice (retired) Rajinder Sachar, Justice (retired) BG Kolse Patil, Justice (retired) Hosbet Suresh, Iqbal Chagla (senior counsel), Cyrus Guzder (businessman), PM Bhargava (scientist), Dr Syed Zafar Mahmood (President, Zakat Foundation of India), Reverend Fr Dr Packiam T Samuel, Nandan Maluste (financial analyst), Janak Dwarkadas (senior counsel), Navroz H Seervai (senior counsel), Anil Dharker (senior journalist), IM Kadri (architect) and SM Mushrif (former inspector general of police).